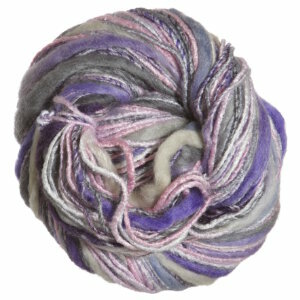 Thick wool is loosly spun with thin bamboo fiber giving this yarn a unique texture and fun look! Bamboo Bloom Handpaints comes in a wide range of gorgeous colors, helping to make this yarn a great choice for warm sweaters and hats! Berroco Ultra Alpaca Chunky Yarn and Knit Collage Cast Away Yarn are both similar yarns: hand wash, bulky (12-15 sts/4 in), 100 gram. What about yarn that have the same look and feel? Find more yarn with a thick and thin texture, a medium twist, and is hand painted. You may enjoy taking a look at the Universal Yarns Bamboo Bloom Handpaints Sun Salutation Yoga Bag, and Universal Yarns Bamboo Bloom Handpaints Goldfish School Cowl kits all using Universal Yarns Bamboo Bloom Handpaints Yarn. 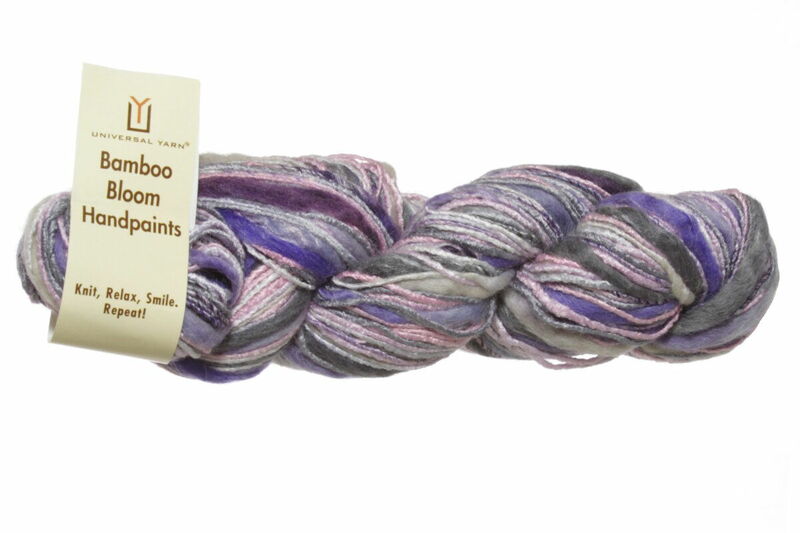 Hopefully our suggested project ideas for Universal Yarns Bamboo Bloom Handpaints Yarn can help you come up with your next exciting new project idea!